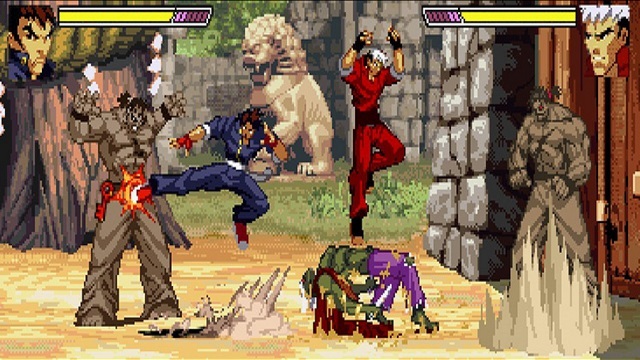 Naps Team’s GBA Brawler, formally titled Gekido Advance: Kintaro’s Revenge, will be coming to a Nintendo Switch near you in the not too distant future of March 22nd. Gekido Kintaro’s Revenge is the sequel to the old PS1 game Gekido, and while it’s predecessor had multiple playable characters Kintaro’s Revenge focuses only on Tetsuo. A year has past since the events of the first game. Now evil has returned and Tetsuo must punch it in the face once again. Gekido Kintaro’s Revenge will be available exclusively on Nintendo’s eShop for $12.99 USD and will feature co-op multiplayer for up to two players.